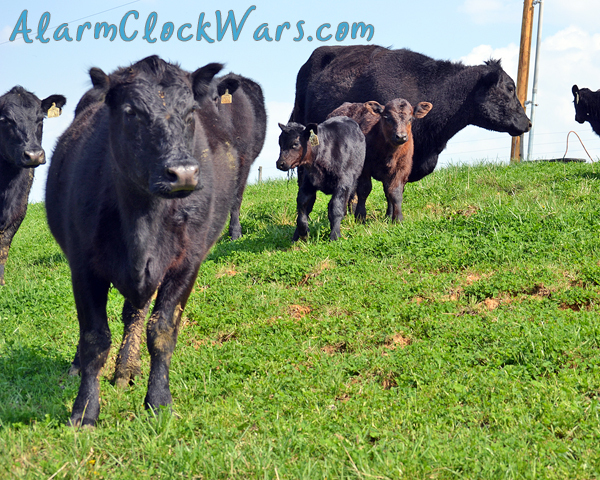 You are here: Home / About Farming & Food / Why Don’t You Buy Meat From the Grocery Store? 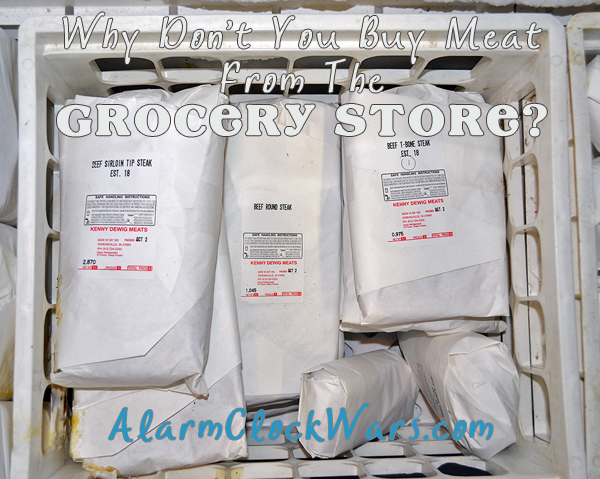 Why Don’t You Buy Meat From the Grocery Store? I am the main grocery shopper in my house. (And boy, these days when I get to leave Baby Doc at home with Farmer Doc and go grocery shopping by myself it’s a treat!) We eat plenty of meat. But I don’t buy much meat at the grocery store. We buy most of our beef and pork from local farmers, and we buy it a quarter of a beef and a whole pig at a time. I absolutely do trust it. We are lucky enough to live in a rural area. We are lucky enough to raise cattle ourselves. We are lucky enough to have friends who also raise cattle. And we are lucky enough to have two deep freezers in our basement. We actually don’t eat the cattle we raise. That’s not a moral issue, or an emotional attachment issue, or a safety issue. It’s just the way cattle farming goes. We have a cow-calf farm, which means that our cows have a calf every year. We keep the calves until they are about 6 months old. We sell the calves, but keep the cows. The calves get sold to someone who will “feed them out”, or let them graze and eat and grow big and strong. They won’t be butchered for meat until they are around 18 months old. We don’t have the space or the facilities to keep them here that long. 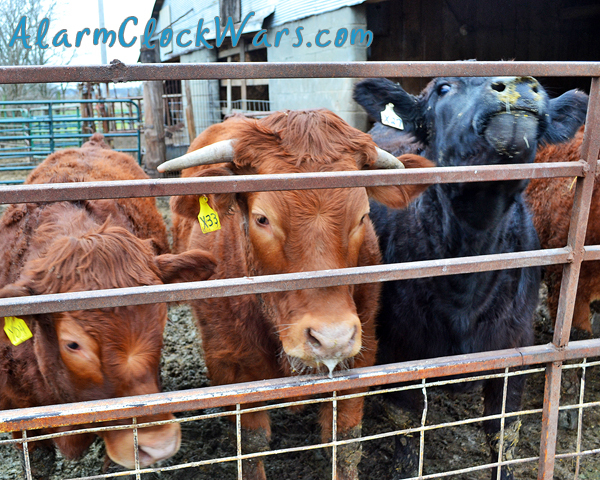 Most of the time, our calves are sold at an auction, so we don’t always know who buys them. We buy from our friend up the road who raises cattle. We buy from him because he is a family friend. We buy from him because we trust in how he raises his animals, just like we trust in every other beef cattle farmer whose beef ends up in the grocery store. And when we run out of bacon before we run out of pork chops? Or when we run out of ribeye steaks before we run out of ground beef? Or when I want to make chicken or turkey? Because when we still have 4 roasts and 30 pounds of ground beef, we don’t have room to store another quarter of beef in our freezer. So I buy what we need, when we need it, to supplement what we already have. 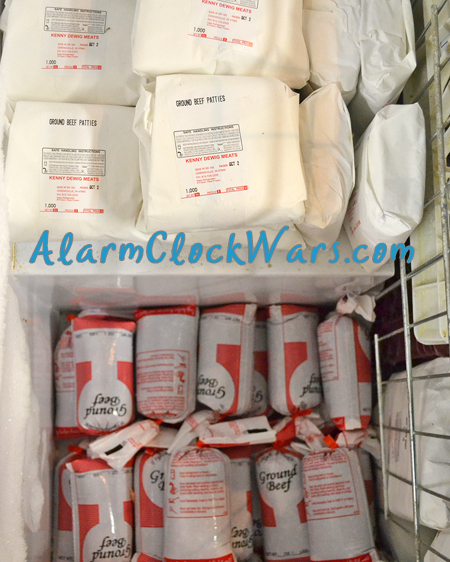 Are you interested in buying beef or pork in large quantities like this? Do you have the room to freeze it? Ask around at your local farmer’s markets, at your local Extension office, or at your local or state Farm Bureau offices. If you have a CSA, they may also be able to help you find someone who sells beef or pork like this. There are plenty of ways that we can feed our family. For us, this is what works. For you, it might not be. Where is your favorite place to buy meat? We buy our meat the same way, though I’m perfectly happy to pay the local butcher to do our pork too. That way I can pick up some brats when I go to pick up the rest of our meat. 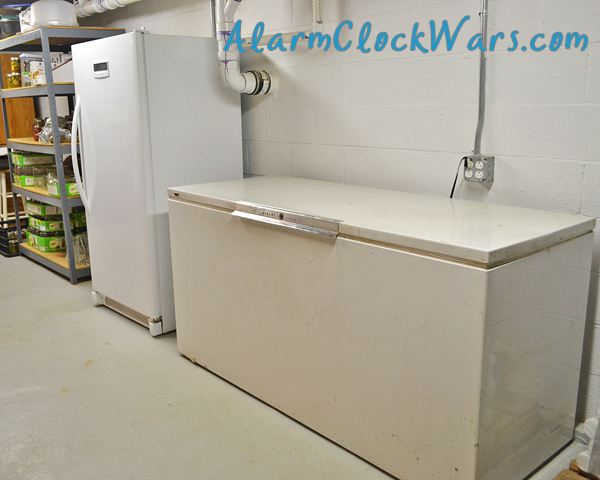 And I’m glad to know that I’m not the only one who has 2 deep freezers in our basement.